"Itonaga gave few details on the process the team used create the curved CMOS chips. He said that a machine was used to bend the CMOS sensors and that they were backed with a ceramic to stabilize them after bending. It was also unclear how much the chips were curved, although Itonaga said that they did achieve the same level of curvature found in the human eye. Two chips were reported. 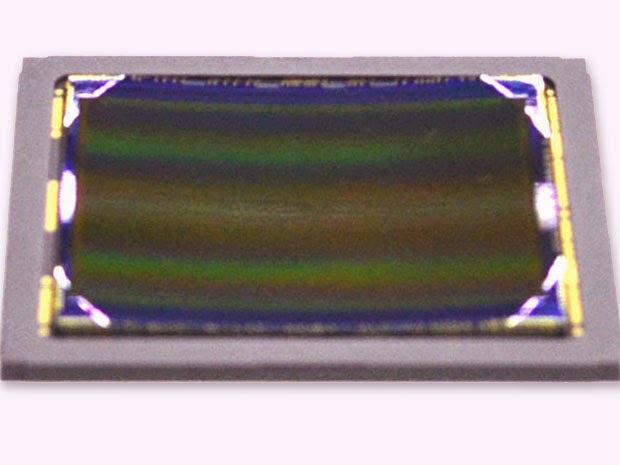 One, which measured some 43 millimeters along the diagonal, is a full-size chip for digital cameras. The other is a smaller chip, more suitable for mobile phones, which measured 11 mm along the diagonal and boasts smaller pixels. The team integrated the curved image sensor with a lensing system and showed an image that seemed to be quite good, although it wasn't displayed alongside an image taken with an equivalent flat sensor for comparison." "The team has made somewhere in the vicinity of 100 full-size sensors with their bending machine. "We are ready," Itonaga said." Sony claims increased _center_ sensitivity by a factor of 1.4 - I don't understand why this should be the case. Can someone elaborate, please? I think that they can open wider the lens in this case.